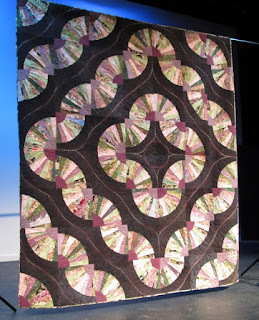 I thought I would show off some great work on my fellow Edmonton and District Quilter's Guild Members. 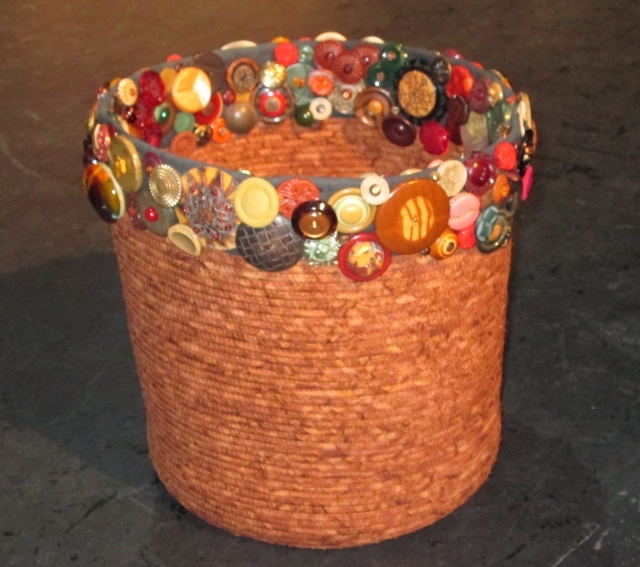 First to show you is Wanda's Fabric basket. Look at the buttons. She is a great collector of old buttons. She has made this to give to a new daughter in law and wanted to use some very special buttons. This fan quilt is a group raffle quilt. The funds raised will go to the Edmonton Guild Endowment fund. We have been fund raising for a few years now and are able to give two scholarships. The hope to have enough funds for a third graduate scholarship. The quilt was long arm machine quilted by Kim. I forgot to get a book of tickets. Maybe at the next meeting. I have linked up today's post to Freshly Pieced WIP Wednesday and The Canadian Needle and Thread Network WIP Wednesday. 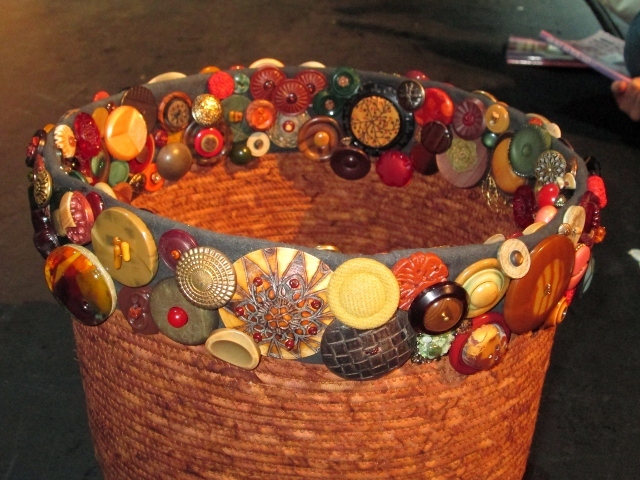 Hi, I love basket with vintage buttons. Love the raffle quilt. Worthy cause... scholarships. I always thought I'd set one up if I won the lottery. 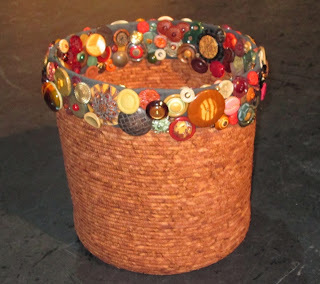 Love the basket- so funky- lots of great ideas to explore- I am bit snowed under with school work right now- just finished two sets of reports and now need to finish report cards. Perhaps at spring break after our son goes back to Charlottetown- I will need quilt therapy then..
Lovely basket, and fantastic raffle quilt! Will you sell tickets on your blog?